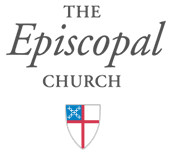 Read below to find out the latest diocesan news, information and upcoming events. 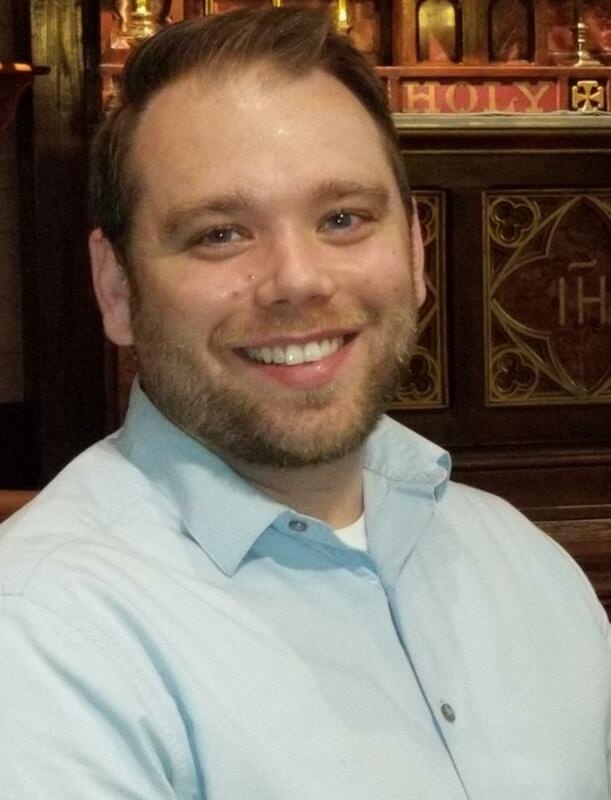 If you have parish news, photos, events or information you would like included in the next Digest, please contact Alexis Guszick, Canon for Diocesan Communications, aguszick@diocesecpa.org. Friday, May 3, 6 p.m.
To download details, click here. Saturday, May 18, 5 p.m. In the North, the service was held at Trinity Pro-Cathedral, Williamsport at 11 a.m. In the South at 4 p.m., the service was held at St. Stephen’s Cathedral, Harrisburg at 4 p.m. Photos from both events will are available on social media. To view the photos, click here. We will assemble blessing bags for the Saving Grace Women’s Shelter and the American Rescue Workers Men’s Shelter. Personal care items such as toothpaste, toothbrushes, deodorant, shampoo, soap, washcloths as well as socks, are greatly appreciated by the shelter. A collection of twin sheet sets are also needed as the residents take the sheets from their beds when they move into a permanent housing situation. For more information, click here. 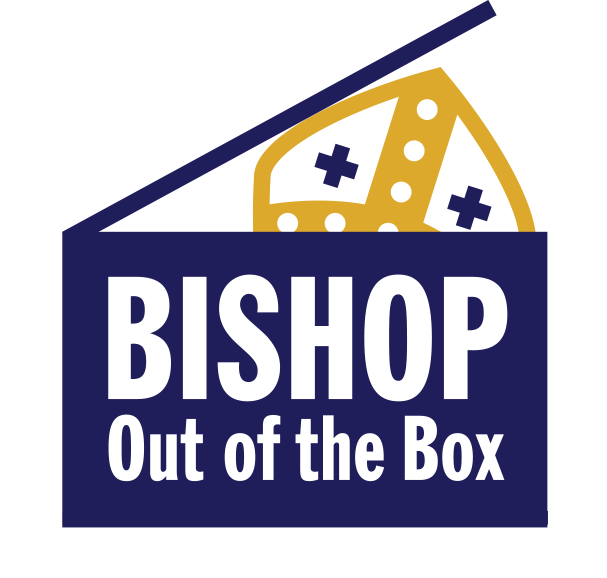 In May, Bishop Out of the Box will be held as a Compline Under the Stars in Cherry Springs State Park, Coudersport, PA. This event is for youth, ages 12 and up. The following morning, on April 19th, at 7:00 a.m., they will participate in a special Youth Good Friday Service portraying the passion narrative. This special service includes dramatic reading and miming. We will meet at the Waterville Parking Area. Note: the parking area is off of Rt 44, about 11 miles North of where Rt 44 exits off of Rt 220. Make a left onto Church Street (just before the Waterville Tavern) and make a right into Parking Area. We will hike south to Bonnell Flats (in Ramsey) where we will share our service. It is about 4 miles. For those wishing to leave from this area, there will be shuttle service back to Waterville. Otherwise, we will then make the return hike to Waterville. For questions, please e-mail the Rev. Janis Yskamp. This meeting is designed for collaboration and discussion of youth in leadership in regards to Vacation Bible School this year, and also to determine necessary preparations for the 2020 Episcopal Youth Event. Join us as we learn and discuss the best ways to serve the needs of our young people. e-newsletter, parish website or social media, this workshop will help to provide solutions! This workshop is designed for church leaders, clergy, lay members, experienced communicators or novices. Please join us to raise money for a great cause! 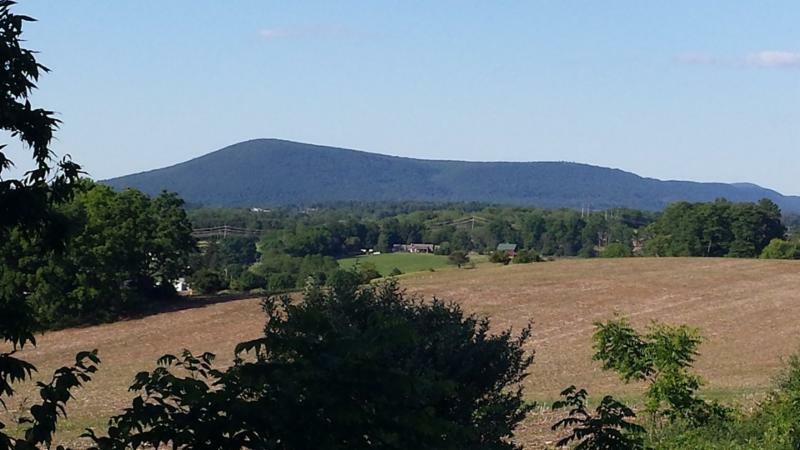 This year, the Bishop’s Open will take place in State College. All proceeds will be donated to organizations fighting addiction. 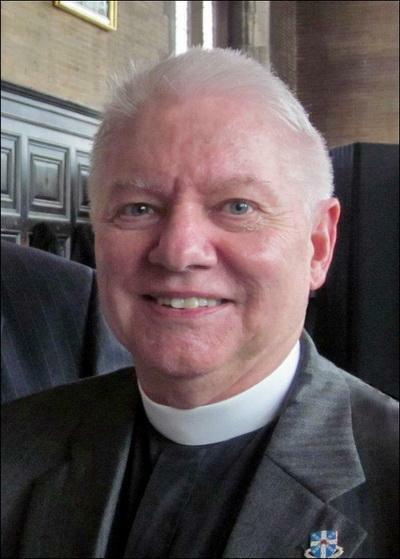 This year our theme is “Walking Together in the Way of Love,” and our keynote speaker is the Rev. Canon Carrie Schofield-Broadbent, Canon for Transitions and Church Development, Diocese of Central NY. 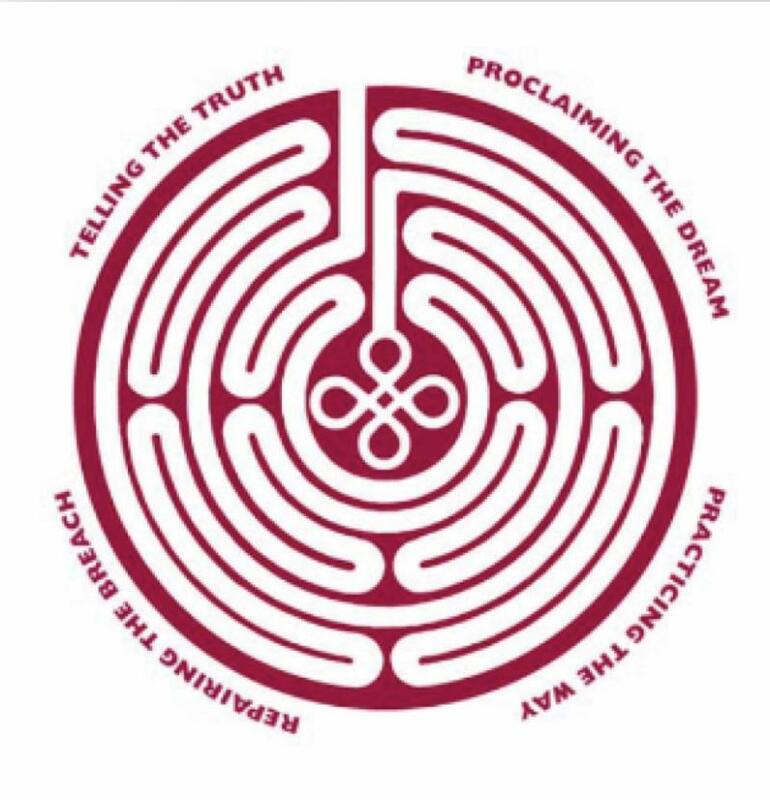 To register for Clergy Conference, click here. For questions regarding Clergy Conference, please contact Brenda Scott, (717) 236-5959 ext. 1110 or bscott@diocesecpa.org. 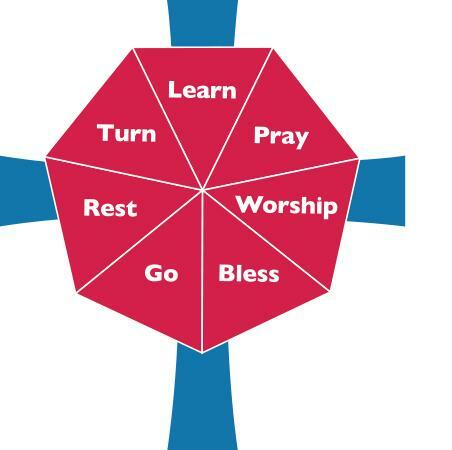 Last year, diocesan staff began an initiative to spend a day “in residence” in each of the seven convocations to be able to worship together and meet with anyone, clergy or laypersons, all are welcome! Come with questions, ideas, concerns or just to say hello! The schedule for this day will be announced via e-mail. 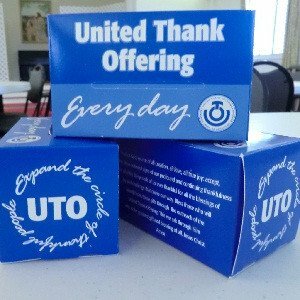 This program supports the work of UTO in addition to participating in the work of a local ministry. 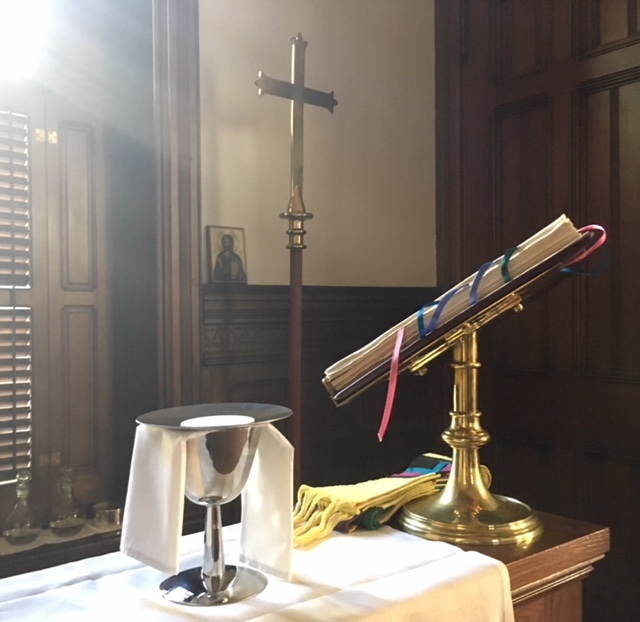 Applications are due June 1, 2019, to the Rev. 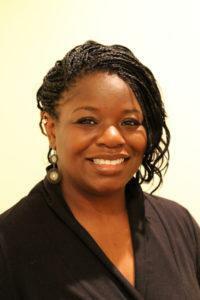 Canon Heather Melton, staff officer for the United Thank Offering,hmelton@episcopalchurch.org. The internship begins on September 20, 2019. To read, click here. More information (including the link for registration) to follow in a separate e-mail. Are you looking for ways to engage families in church? We are offering a three-part commuter core at $95.00 per person, per session. All are welcome! You may participate in the Camino either for the full length of the trail or a day hike. 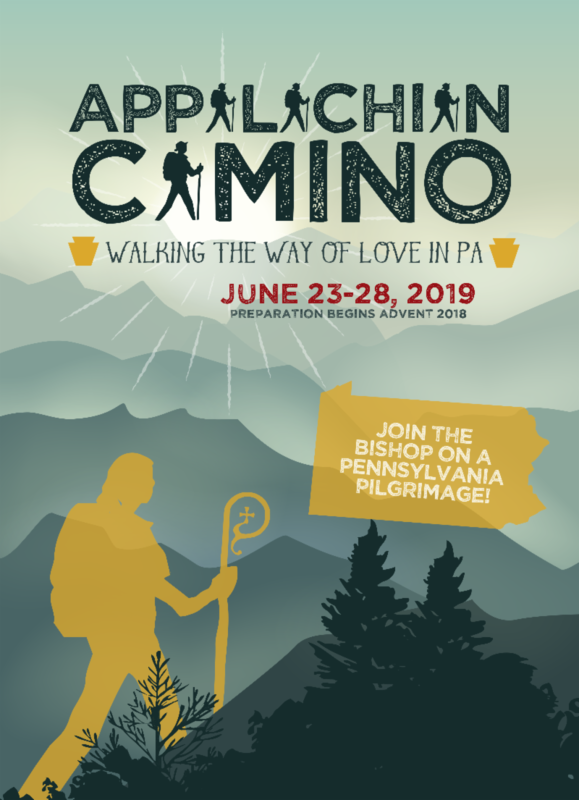 To view all Appalachian Camino details, click here. 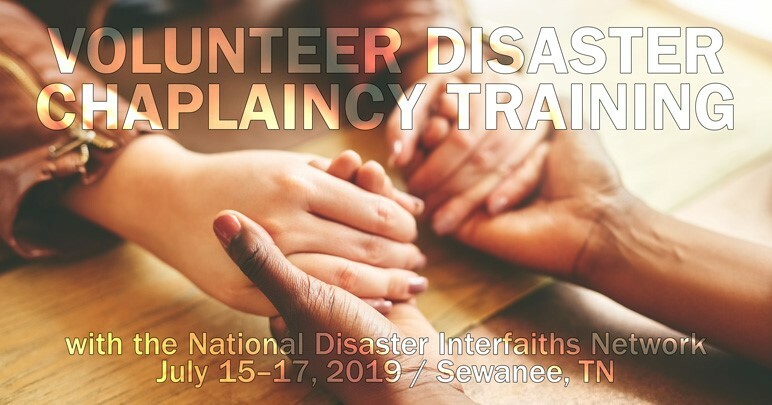 to take this disaster chaplaincy training on the beautiful campus of the University of the South in Sewanee, Tennessee. 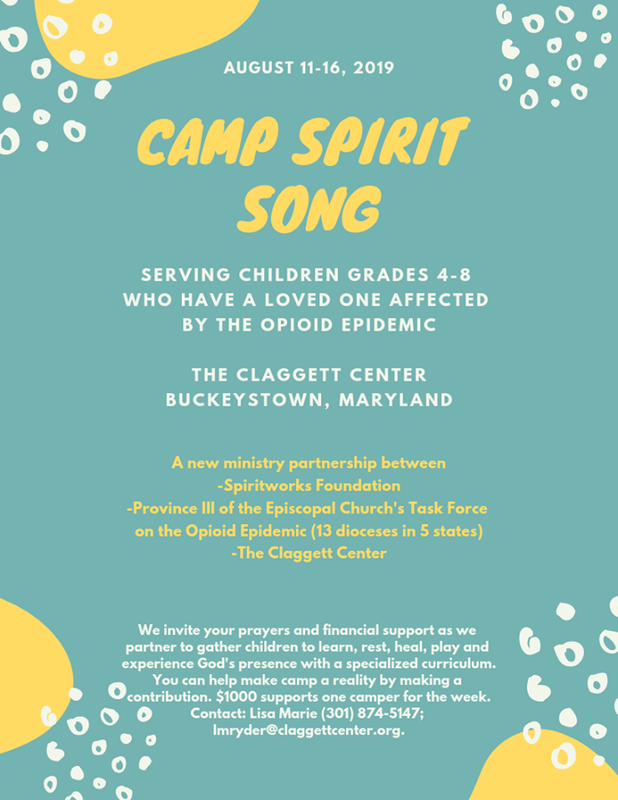 The Claggett Center and the Province III Opioid Task Force have committed to offering a camp for children affected by opioid substance abuse THIS SUMMER! It’s exciting and new and life-changing.